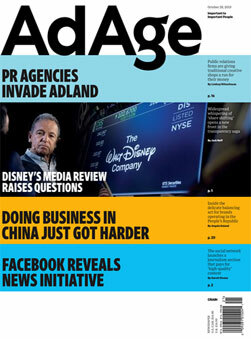 About this magazine: Advertising Age is the leading global source of news, intelligence and conversation for the marketing and media community. Ongoing coverage of strategic topics like CMO Strategy and data-driven marketing is complemented by breaking news on digital, social media and more. The 85-year-old media brand also produces industry rankings including the 200 Leading National Advertisers report, Agency A-List and the annual Agency Report. Whether you're just starting a new business venture or looking to make investments for your growing business, Entrepreneur offers solid advice and strategies. Content is not just geared towards owners of established and expanding companies. It has much information for those looking to start their own business. Entrepreneur publishes the "Franchise 500", which lists the top franchise opportunities for business people. Read stories from other business owners who have dealt with expanding their own business and learn how they faced the challenge. Each issue offers articles presenting the guidance you and your business need. Fast company magazine is the how-to magazine that keeps managers abreast of emerging business trends and ideas. Fast Company magazine sets the idea agenda for the future of business. Fortune magazine is a global business magazine that takes the heartbeat of corporate America and provides readers with an unparalleled look at business and economic news close to home and around the globe. FORTUNE publishes two double issues. Each counts as two of 14 issues in an annual subscription. FORTUNE may also publish occasional extra issues. Money magazine offers smart, no-nonsense tips and strategies to make the most of your money. Money magazine articles cover a wide range of money-management topics like refinancing homes, life insurance, investing, taxes, saving, retiring worry-free and much more. The magazine also provides news, information and advice on the stock market. Working Mother magazine supports and empowers today's working moms in their pursuit of success, however they define it. Find advice on parenting, careers, home, health and inspirational interviews in each issue of Working Mother magazine.